Imagine hiking on azure blue ice one day and cycling past six tumbling waterfalls the next. 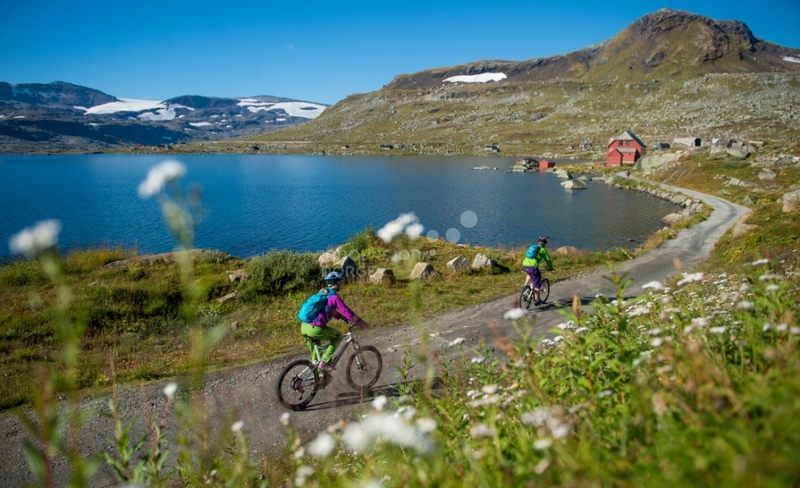 With two national parks to its name, there is no shortage of family adventures on offer in the Hardanger region of Norway. 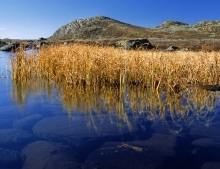 The deep, flat waters of the Hardangerfjord give way to steep mountain slopes which round off to form the flat mountain plateau known as Hardangervidda, the largest highland plateau in Northern Europe. 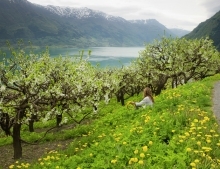 Enjoy a tailor-made self-drive holiday in Hardanger with a wealth of activities to choose from as well as moments of pure inspiration for all ages. Arrival to Bergen. Hardanger is just over an hour’s drive from Bergen Airport - a perfect place to start and end your stay. If you wish you can spend some nights in the city taking in the Hanseatic architecture and admiring the views from the top of the funicular railway Floibanen. Your journey to Hardanger will take you past awe-inspiring fjords to one side and steep mountain cliffs to the other. Choose from our range of cabin and hotel accommodation in Hardanger where you can base yourselves for the whole trip or move on as you please. Your itinerary will be tailored to your travel dates and requirements. We’re here to provide inspiration and a holiday of a lifetime for your family. A visit to this region is not complete without experiencing the vast and beautiful Folgefonna Glacier. Hike to the Buer glacier, walking on blue ice and making a spectacular river crossing en route. 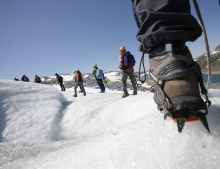 On the glacier you’ll have the opportunity to learn how to ice climb inside the crevasses. The minimum age to join this hike is 15 years. For younger travellers (from 8 years old), there is an easier glacier trip to Juklavass glacier which starts from Jondal - a summer ski resort. Join your guide for a full day or half day kayaking tour. 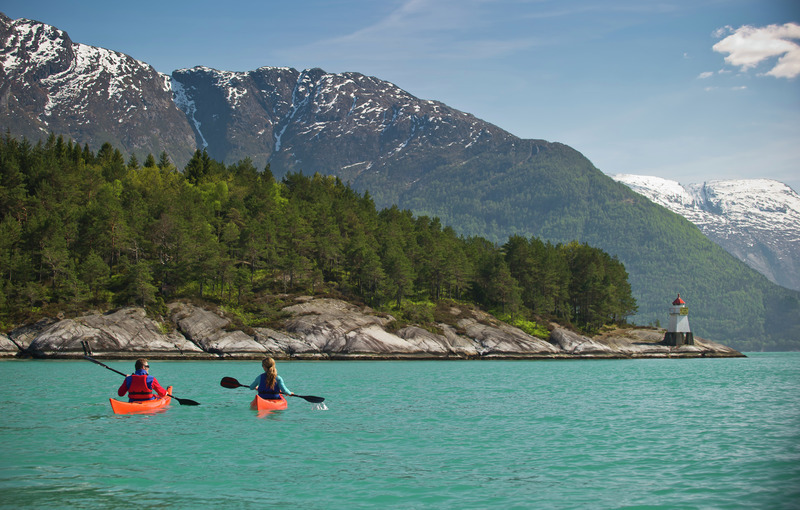 As you pick up the basics of kayaking or hone your technique, enjoy breath-taking sights of mountains and fjord. The kayaking takes place on the Eidfjord, and ventures into the Simadalsfjord, the innermost part of the Hardangerfjord. The narrow fjord and steep mountains either side create a dizzying thrill from your kayak. You may even spot some wildlife such as whales, seals and sea eagles. During the full day trip, a barbeque wilderness lunch is included. The River Bjoreio offers rapids and turns that provide an adrenalin-fuelled experience for the family. Learn how to raft along the river during a two hour excursion. The trip is suitable for children 7 years and above. Wetsuits and all necessary safety equipment and guidance are provided. 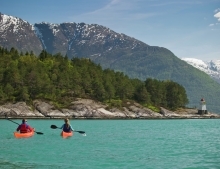 Enjoy a leisurely few hours canoeing on Hardangerfjord or lake Eidfjordvatnet. The stable canoes are perfect for enjoying a day or afternoon exploring at your own pace. Hiking opportunities and adventurous excursions await. 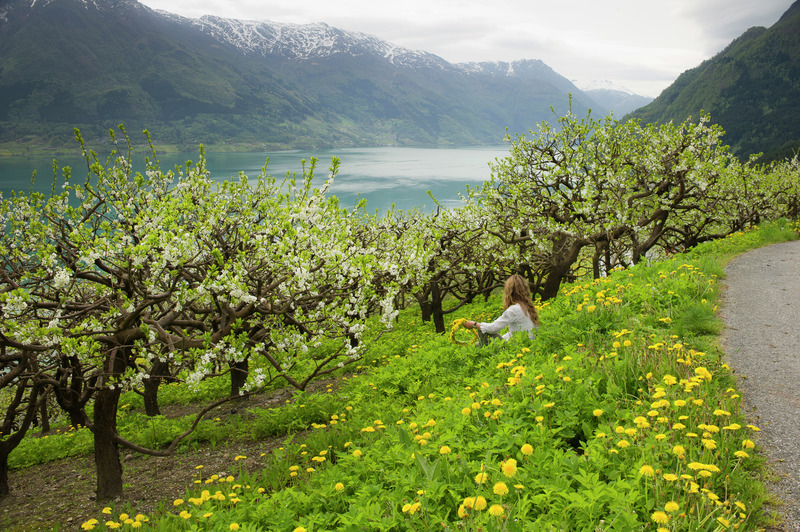 We recommend spending at least a day exploring Hardanger’s many highlights. Take one of the tourist routes and drive past waterfalls, mountains and apple orchards. One of the main exports from the region is fruit so a taste of juice or cider at one of the farms is not to be missed. Enjoy a day to explore or join a guided tour or excursion. 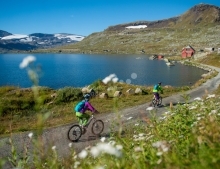 We'll help you to make the most of your holiday in the Hardanger region. 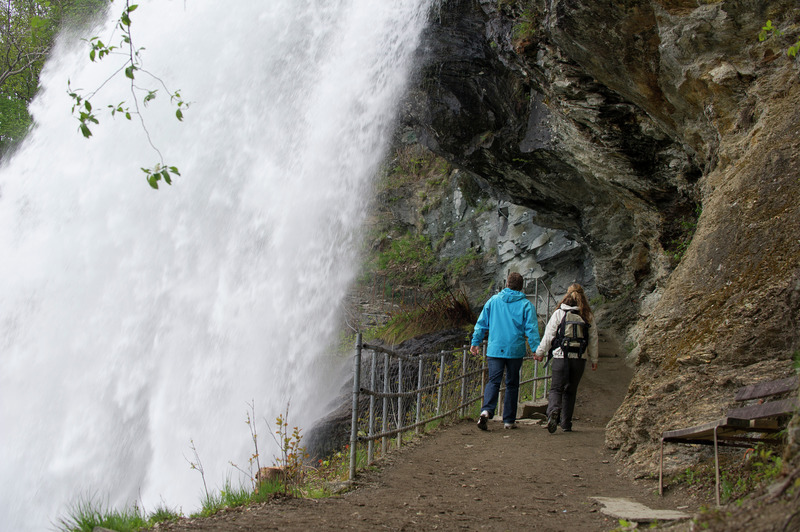 For families, there are plenty of attractions including Mikkelparken - an outside waterpark along with the Hardangervidda Nature Centre in Eidfjord for an in-depth view of Norway’s landscapes, nature and wildlife. Transfer to Bergen and return. Alternatively extend your stay in Hardanger or elsewhere in the Norwegian fjords. Please get in touch with us to receive a detailed price quotation and itinerary. Cycle alone or with a guide on a full day bike ride. 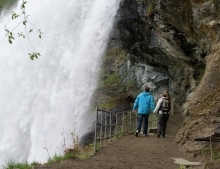 You’ll encounter six spectacular waterfalls during the day: Strandsfoss, Tjødnadalsfossen, Vidfoss, Hildalsfossen, Espelandsfossen and finally Låtefoss. If you are keen to extend your day, continue along an ancient road crossing the Røldal mountain and to the village. 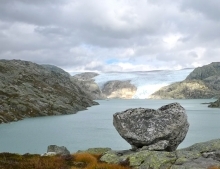 The ‘Troll’s Tongue’ is a protruding slab of rock which juts out above the north side of Lake Ringedalsvatnet. 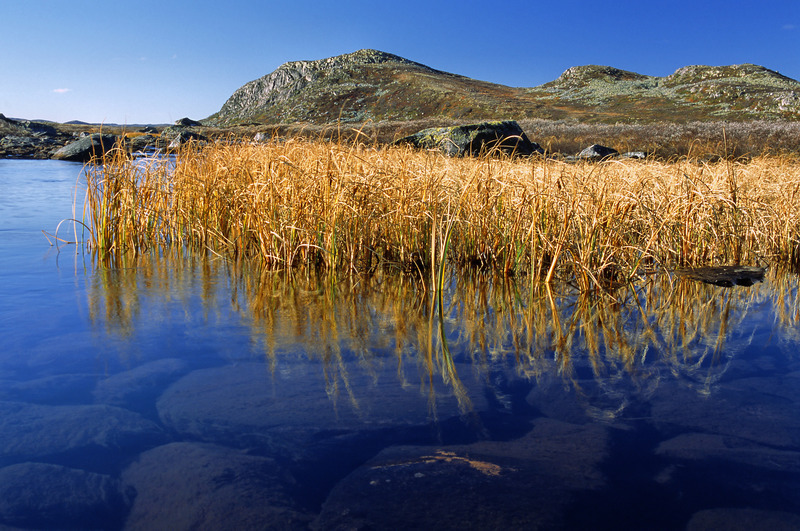 At 700 metres above sea level, the views over the lake and surrounding mountains are spectacular. In the summer months Trolltunga is one of Norway’s most popular hikes - both challenging and rewarding in equal measures. The hike is a full day’s adventure and we can arrange a private guide for your group or you can tackle the hike independently. A good fitness level is required, so small children (approx under 10 years) may find this hike too challenging. When a hydropower project was left unfinished, a section of the mountainside was left with a maze of underground tunnels. You can join a unique guided hike deep into the mountains exploring this complex of tunnels and shafts. You’ll hear the fascinating story of the abandoned tunnels before reaching a gaping hole in the mountains opening up to a breath-taking panoramic view of the Osafjord. This opening served as an outlet where the excavators threw out the rocks during the construction of the tunnels. On the return hike, lunch will be served in a remote wilderness cabin. From £595 per person excluding flights. The price will be dependant on your travel itinerary, group size and flight arrangements. We flew to Bergen and then followed the itinerary provided by Victoria Jusko at Magnetic North, which took us by 5 hour ferry cruise throught the fjords to highly recommended Fretheim Hotel in Flam, on via the historic mountain side railway to Voss where we stayed at Fleischers hotel motel apartments looking onto the most incredible lakeside view for 2 nights, and then a swift journey home via rail and air. We did some white water rafting with Voss Active which was an amazing and unforgettable experience, if quite challenging! 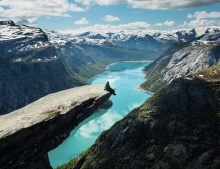 Norway is stunningly beautiful, with the cleanest water and freshest air and constant breathtaking views; we would highly recommend seeing this inspiring country (even though it is rather expensive to eat out!) We were lucky with some good sunny weather for three days, but Bergen was quite cold on the first day, even in August, and we were glad we had purchased tights and extra layers for unexpected changes in temperature. Most people wore hiking gear and warm softshell jackets. THANK YOU for a wonderful, memorable trip. by Katie Abbott, TWICKENHAM on Aug 20 .